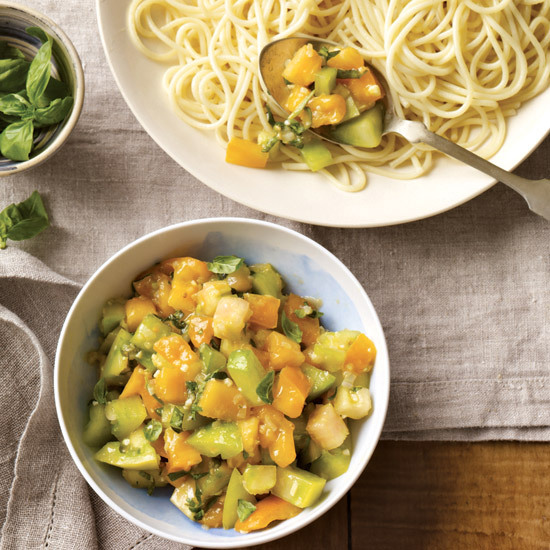 Swap out your favorite cream-based pasta dish with something lighter for a healthy weeknight dinner. 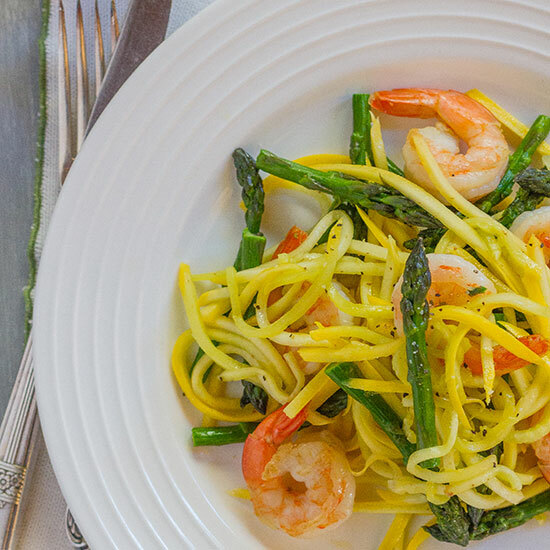 Zucchini noodles, whole wheat pasta, grilled veggies and fresh seafood are some great ways to make any pasta dish a little bit healthier. 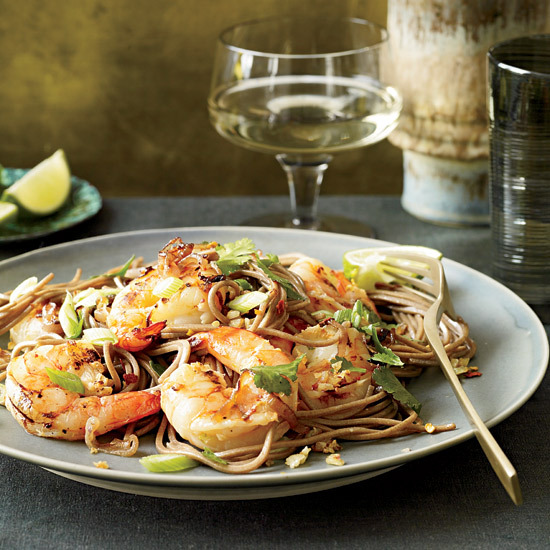 These healthy recipes include chef Michael Chiarello’s chilled Chardonnay-braised calamari, soba noodles with grilled shrimp and cilantro and summer squash "linguine" tossed with shrimp. 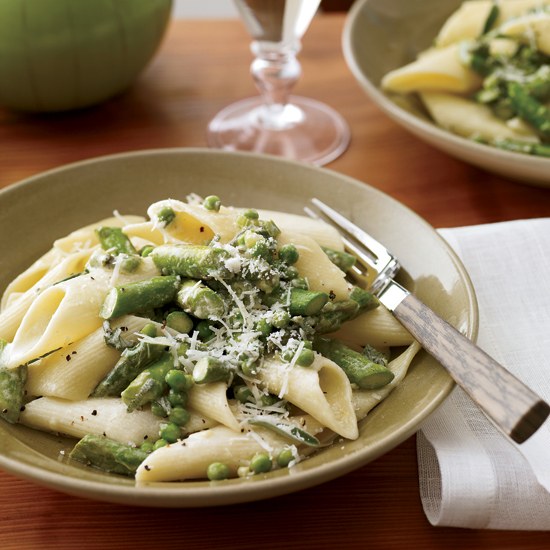 Top Chef finalist Sarah Grueneberg adds green olives, almonds and fresh chile to her bright, delicious puttanesca. 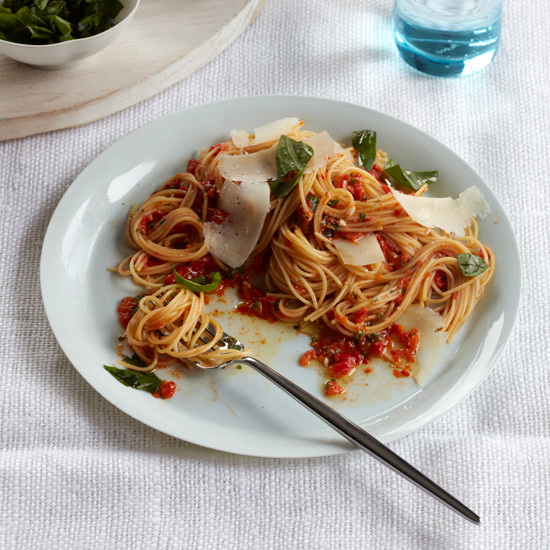 For this light, uncooked sauce, you must have perfectly ripe tomatoes. 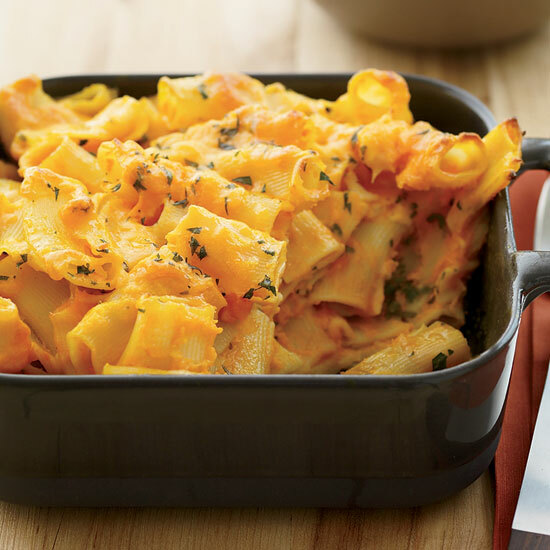 Be sure they're at room temperature, too, not cold. 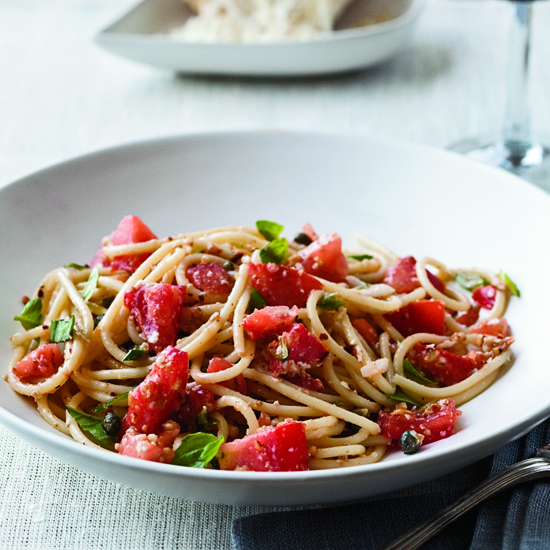 In fact, tomatoes shouldn't be refrigerated at all; chilling permanently reduces their flavor. 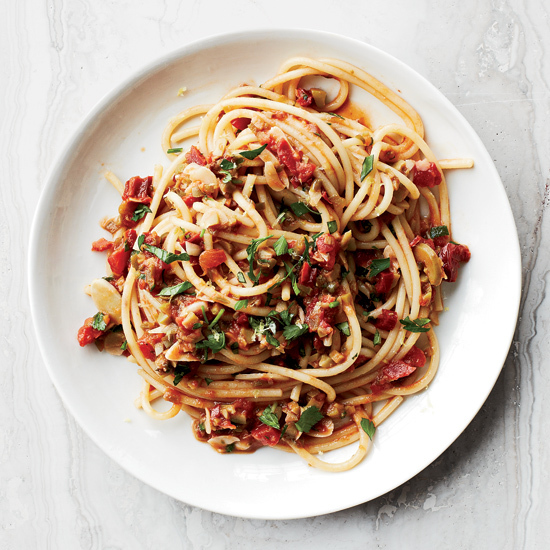 Top Chef finalist Sarah Grueneberg cooks parboiled spaghetti right in the tomato sauce so it becomes infused with flavor. 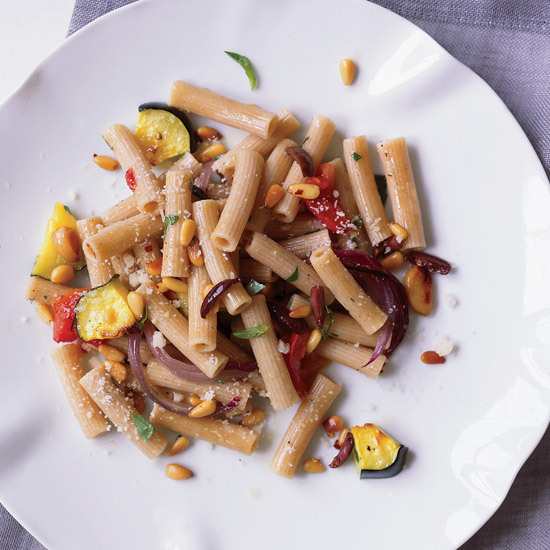 This pasta is an ode to the mountains of fried zucchini Gwyneth Paltrowate at Elio's, an Italian restaurant on Manhattan's Upper East Side, growing up. 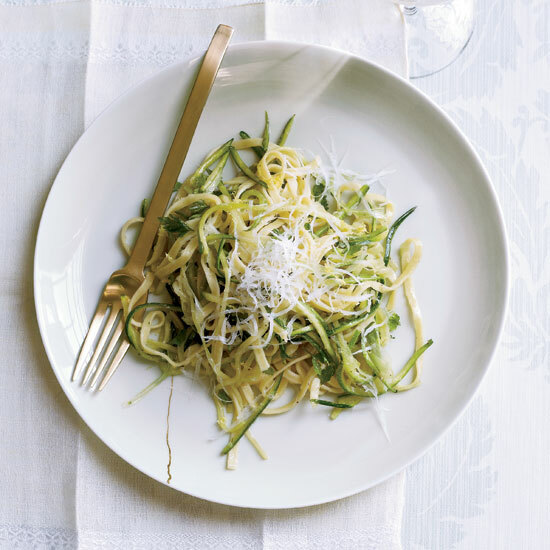 Here, she adds the crispy zucchini slices to spaghetti that's tossed with shredded Parmesan cheese (which adds texture to the dish) and plenty of olive oil and basil. 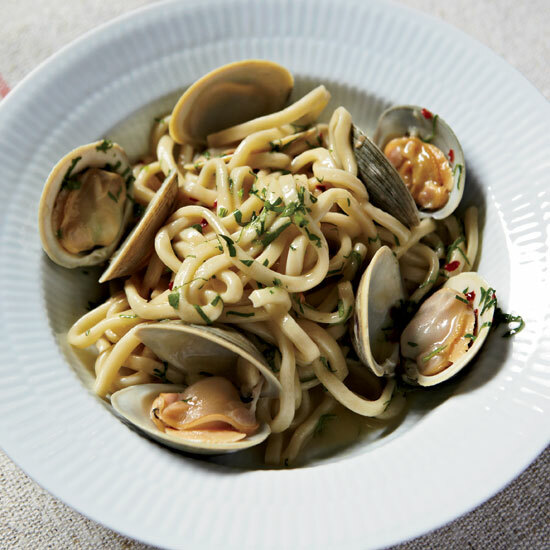 Chef Paola Budel updates linguine with clams by using pasta made with kamut (an ancient variety of wheat) and adding bitter chicory and a bright parsley sauce. 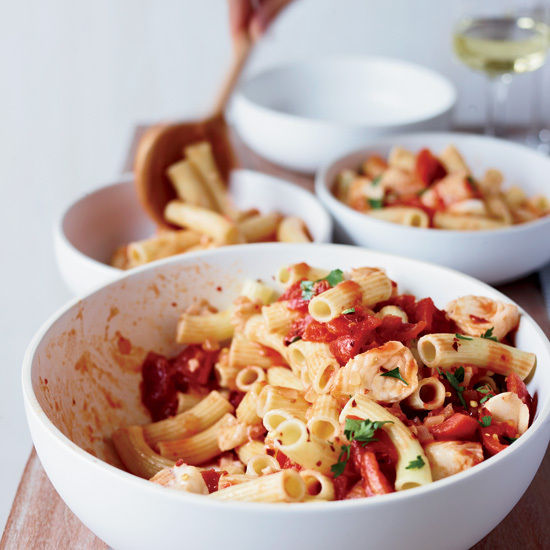 Marc Vetri uses oversize paccherri for this seafood pasta, but rigatoni works just as well with the juicy tomato sauce and fish. 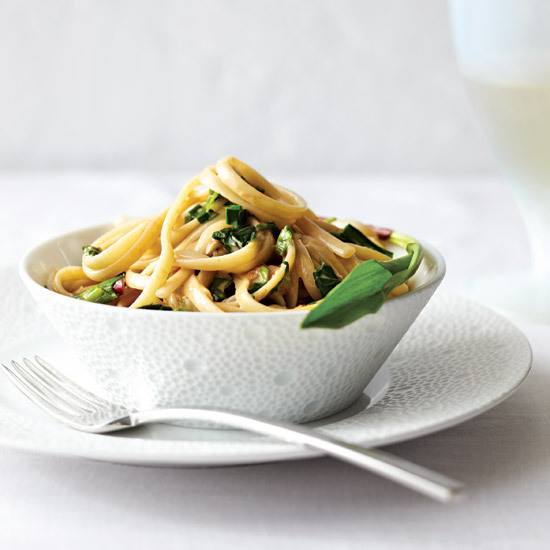 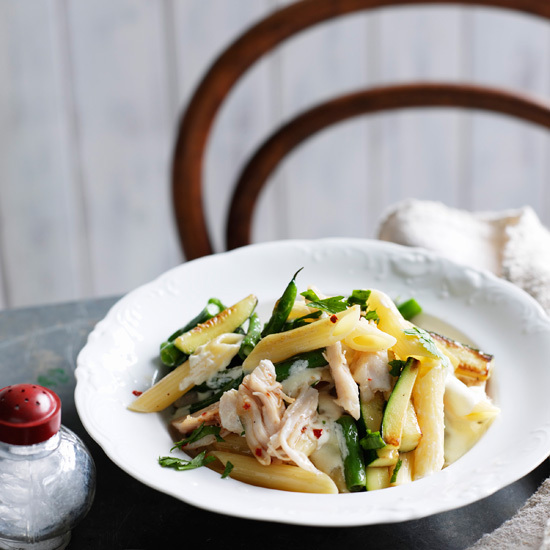 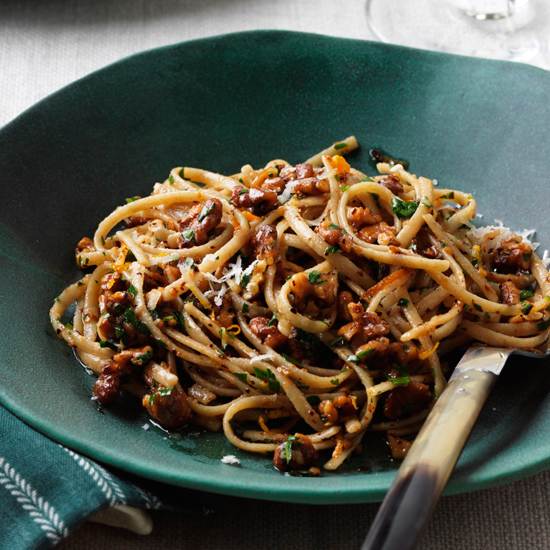 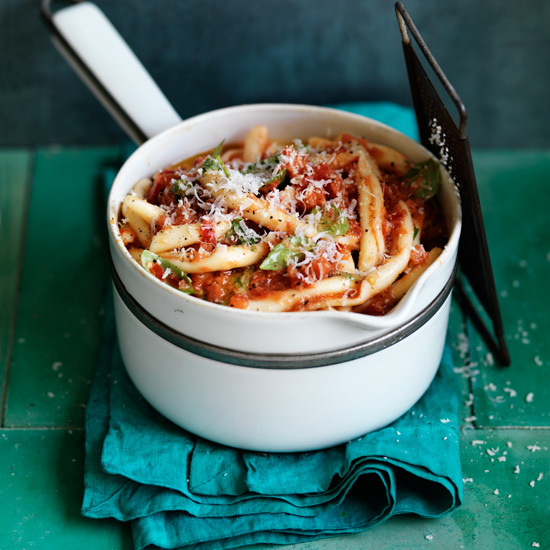 Cooling this skinny pasta, then tossing it with Chardonnay-braised squid in a light, tangy sauce, makes for a refreshing first course. 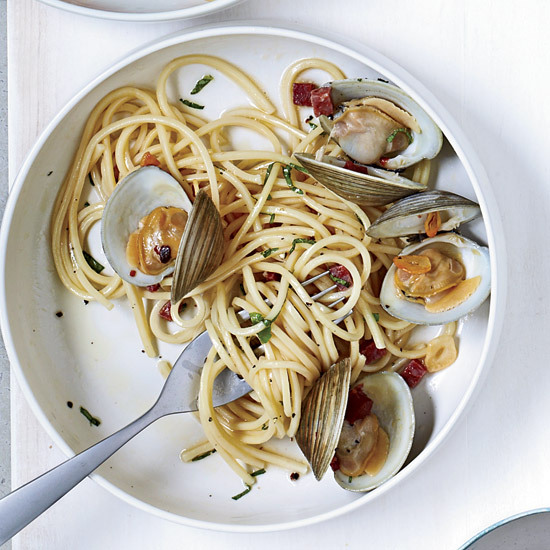 Chef Michael Chiarello used Chardonnay because its acidity is "a trampoline for flavor." 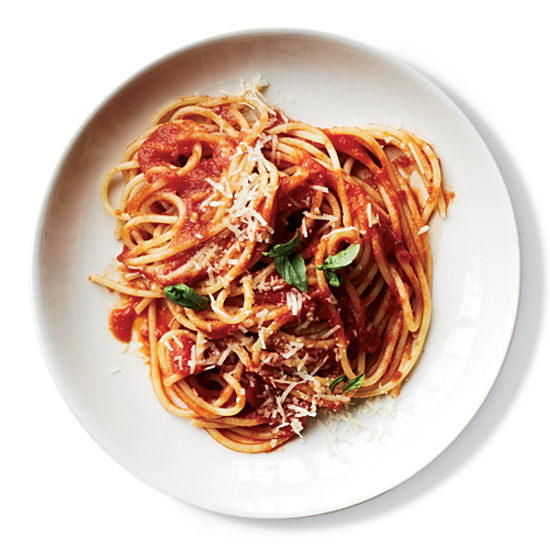 "We always ate fresh tomatoes with basil, but I never thought to add pasta to them," says Fran Parisi about Grace Parisi's spaghettini with its tasty no-cook tomato sauce. 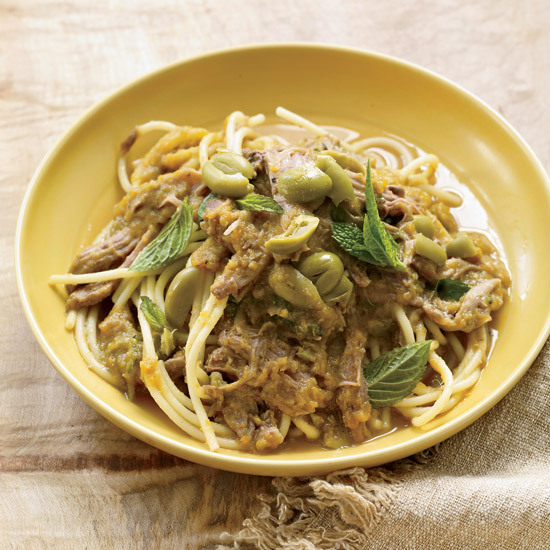 The almonds and anchovies add a bit of Sicilian flavor. 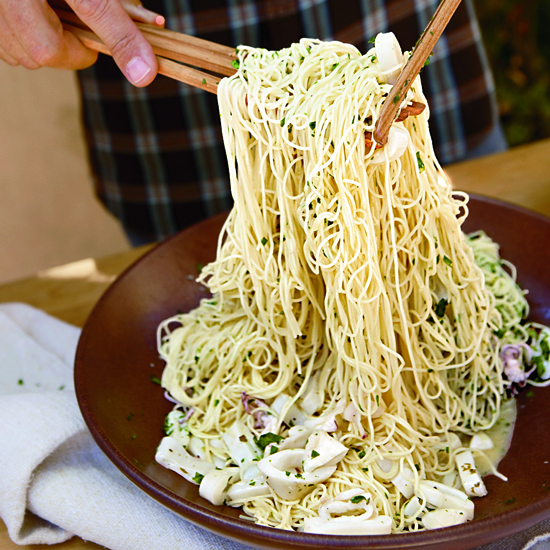 In this cookbook, top Chicago chef Takashi Yagihashi divulges his best recipes for ramen, soba, udon, rice noodles and more. 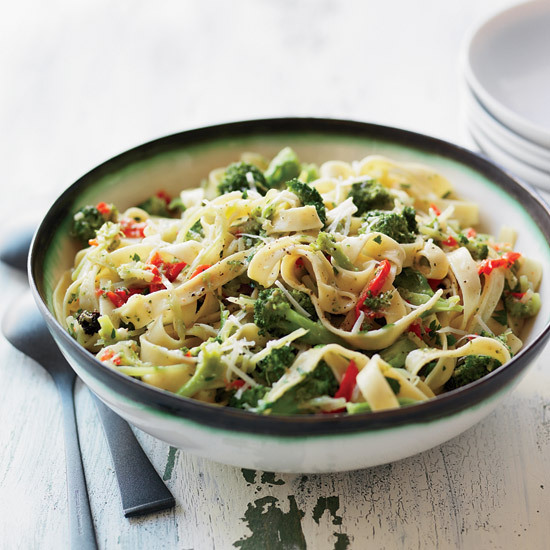 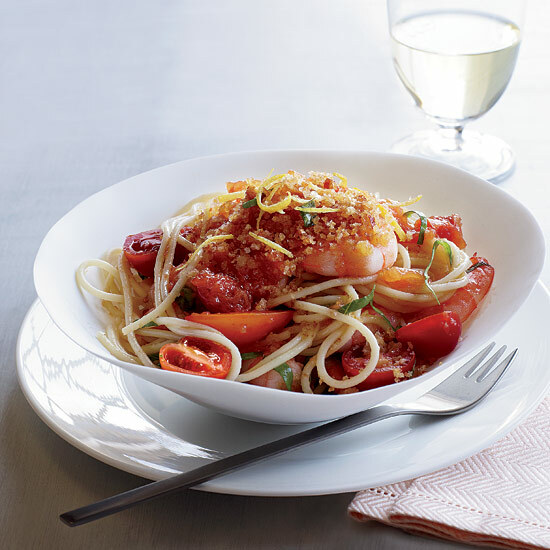 Lachlan Mackinnon-Patterson (an F&W Best New Chef 2005) creates a simple summery sauce by blending roasted red peppers with traditional pesto ingredients, like basil and pine nuts, to toss with cool angel hair pasta. 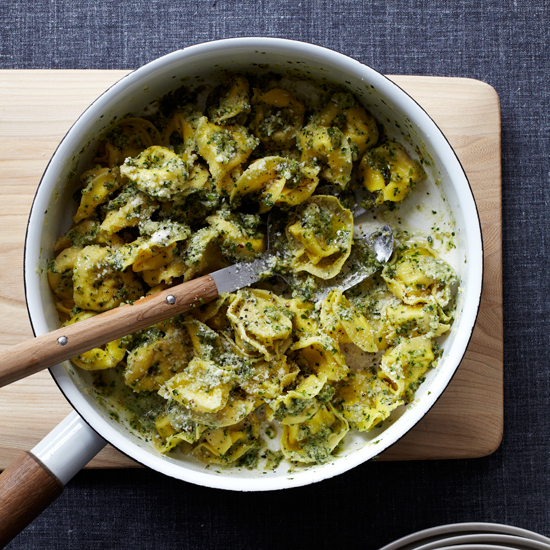 The pesto freezes beautifully and is also delicious spread on grilled cheese sandwiches or swirled into soups. 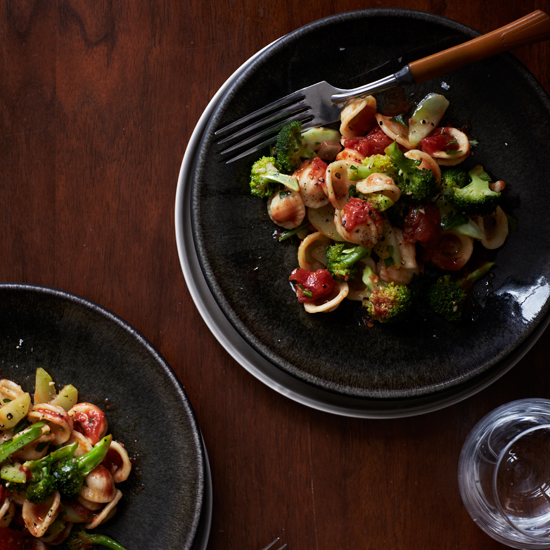 "Our audience has really been receptive to our homemade alternative-flour pastas," says Travis Lett. 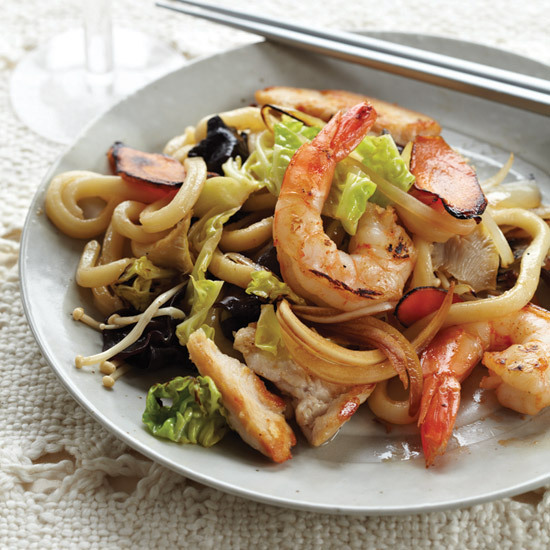 He likes buckwheat for its added richness and texture. 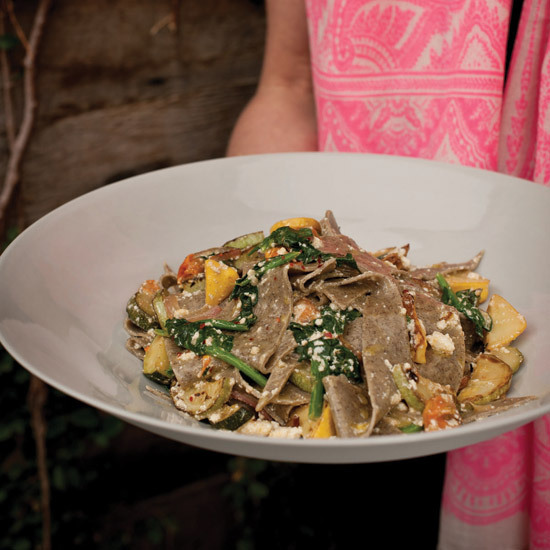 At the restaurant, Lett cuts the fresh pasta into rough rag shapes and tosses it with summer vegetables; this simplified version uses dried pasta. 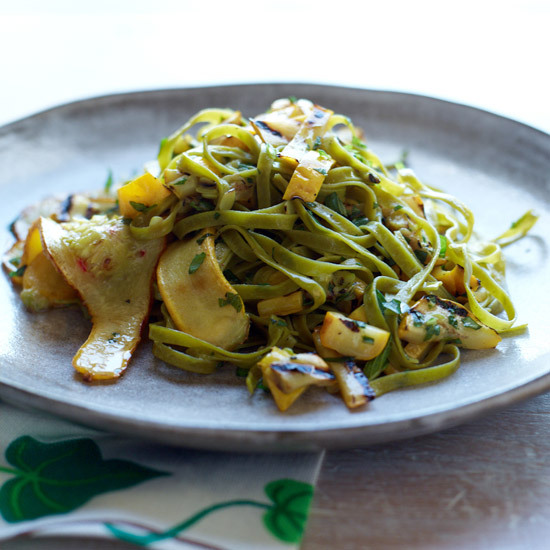 When julienned on a mandoline, lightly sauteed summer squash does a great job of imitating pasta, making a light, healthy, gluten-free dish when tossed in olive oil with shrimp and asparagus. 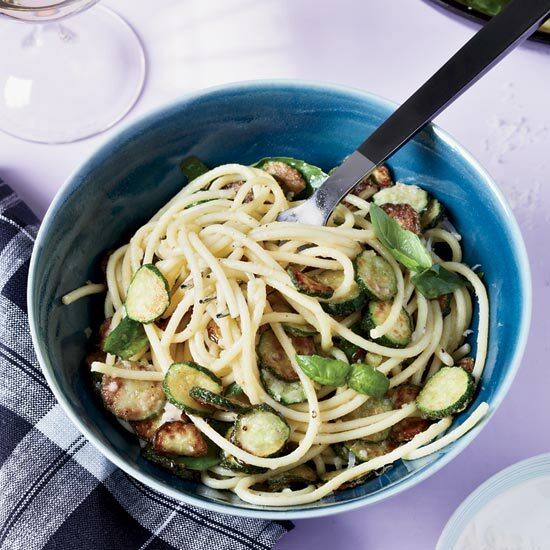 F&W's Kay Chun creates a healthy alternative to pasta by tossing spiralized zucchini and roast chicken with an aromatic Asian dressing. 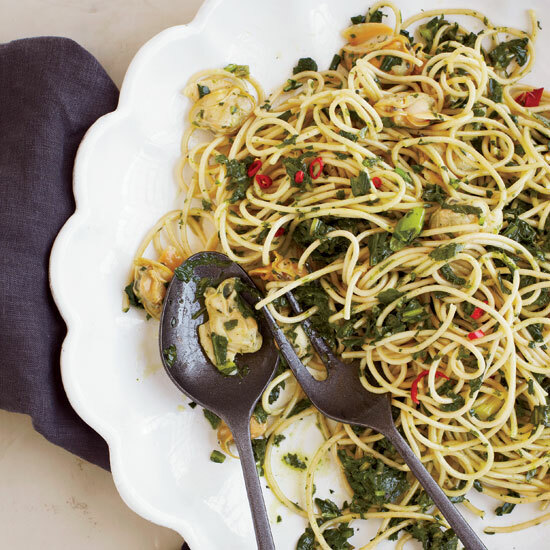 You'll need a superfine grater, such as a Microplane, to prep the fresh ginger and garlic.